Leonard Cohen likes to say he returns to Montreal to renew his neurotic affiliations. For those of us who stay, the city’s varied and resplendent architecture is a big part of its charm, its heart and soul. From the Old Port, where buildings date from the 17th and 18th centuries, moving north, then east and west, we can trace the history of Montreal’s evolving architectural styles. Among the jewels that have survived – and so many have – are the magnificent homes and institutional buildings of the Golden Square Mile, lovingly and beautifully described in words and photographs by the amazing Mackay L. Smith in his newest pictorial essay. Smith came to the task, not from some academic perch or simply in search of something to do, but from his love and commitment to the city where he has spent his life. 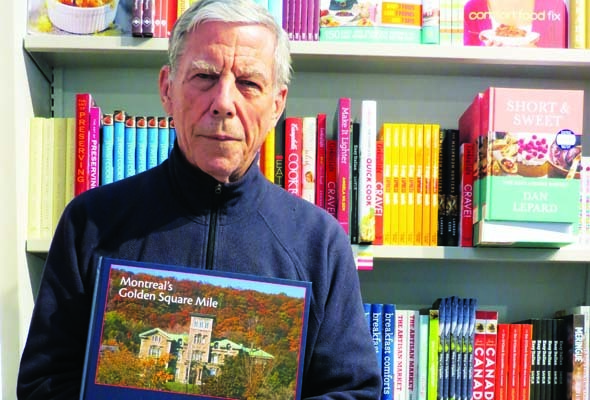 At 82, he is rightly proud of the latest of his literary projects that began 27 years ago with his well-documented and broad ranging The Jews of Montreal and Their Judaisms. This book is the fourth in his series of illustrated monographs: the first was an exploration of Sherbrooke St., followed by a look at the history of McGill University’s main campus, and the third documented the history of settlement along the island’s shoreline. All are fascinating, revelatory, and beautifully produced — perfect for the coffee table, leisurely browsing, and savouring the history of these buildings and the times they represent. The book incorporates our collective delight – the heritage we grew up with and still cherish, grateful that most of it is intact. The information is presented on high-quality glossy pages and illustrated with 60 black and white photographs from the Notman Collection at the McCord Museum, and 120 coloured photos taken by the author in high resolution. The extended blurbs accompanying the photos are fascinating, well-researched histories of the buildings and their original owners, including if and when they were demolished and what replaced them. Smith is no stranger to this cityscape. He grew up not too far away, on Belmont in Upper Westmount. When area denizens, mostly the Anglo-Protestant elite that laid the foundations for this country, were living in the Square Mile, they felt sorry for any relatives who had to move to Westmount, considered to be the outback. “The parents were still living there and the children wanted to live by themselves when they got married. 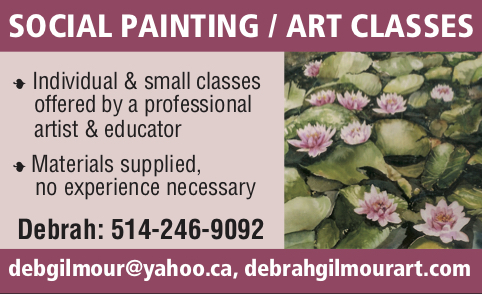 The obvious thing was to go to Westmount, while the French went to Outremont,” he noted. Gradually, the families who lived there gave up their homes, for a variety of practical reasons. “The Golden Square Mile was in its prime from 1870 to 1920. Many of the sons who would have taken over their parents’ homes never came back from World War I. The same thing happened after World War II,” Smith said. Some, as the book points out, stayed on. The heirs of William Cornelius Van Horne, the American expat who pounded the last spike to complete the Canadian Pacific Railway, continued to live in the famous Van Horne Mansion at the corner of Stanley and Sherbrooke, until it was demolished on Sept. 7, 1973. That demolition became a rallying cry for saving our great and historic buildings and led to the creation of Save Montreal and Heritage Montreal. As Smith points out, Lady Van Horne was living there until her death in 1967. Because taxes had increased to $31,000, the family decided it was a burden and put the building up for sale in 1969. “Nobody wanted to buy it for five years. “The commercialization of Sherbrooke St. W. had not started, and the insurance brokers were concerned that a stream of water beneath the structure of the building was starting to cause it to rot away,” Smith explained. The Mount Saint Stephen Club on Drummond is another case of an old building requiring extraordinary measures to prevent destabilization and deterioration. In spite of some losses, one marvels at the extraordinary heritage that is left and the remarkable history it represents. Smith’s text and pictures in this treasure of a book enables it to shine in all its glory. Be the first to comment on "Book review: Montreal’s architectural glory glimmers in Smith’s Golden Square Mile"